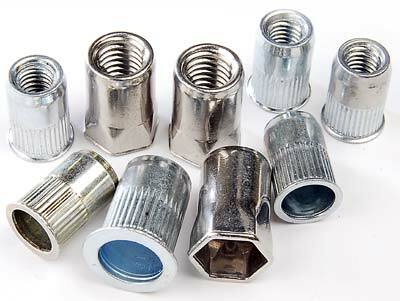 We are engaged in introducing clients Blind Rivet Nuts that is an advance assembly product. The Blind Rivet Nuts are used in diverse industries and are precisely engineered in compliance with existing market standards. The Blind Rivet Nuts is offered in economical rates and is in top demand by our esteemed clients spread across India as well as overseas.